My heart will be filled with love and my tummy with chocolate for Valentine’s Day! I’ll be keeping DJ, my 18-month-old grandson on Valentine’s Day this year. Along with a card, I’m giving him a real, working stethoscope. He’ll get to listen to his heart while we talk about hearts and lungs and friendship and love. Valentine’s Day holds many natural lessons. The chocolate, I’m saving for myself. If your Valentine is gluten-free, you may be tempted to shower him/her with flowers, jewelry, movie tickets, or stethoscopes rather than food. There’s nothing wrong with any of those. Sometimes they’re my choices as well. But if you really want to score points, take on the challenge of cooking a homemade gluten-free dessert. It won’t be as hard as you think, and the thoughtfulness and effort are certain to touch the heart! If you cannot find almond or coconut flour in your area, they are available from Nuts.com, King Arthur Flour Company, Inc. or big box online retailers like Walmart and Amazon. All of the other ingredients are regular baker’s chocolate, brown sugar, butter, and the like. 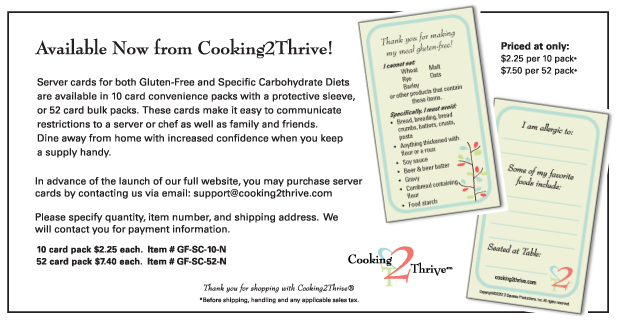 There’s no special equipment needed to make this gluten-free Cooking2Thrive recipe, but a heart-shaped cookie cutter can add some romance to the finished product. 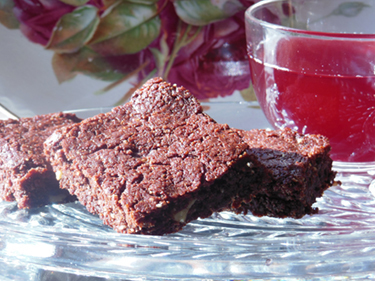 Just wait until the brownies are cool before you cut them. Preheat oven to 350º. Grease and flour 8 x 8 inch baking pan. Place butter, chocolate, and honey in sauce pan. Heat over low until melted, stirring frequently. Remove from heat and cool for 3 or 4 minutes. While chocolate is melting, whisk together almond flour, 3 tbsp coconut flour, salt, and baking powder in a bowl. Once chocolate mixture has cooled slightly, add vanilla, brown sugar, and egg to it and mix well. Add chocolate mixture to bowl with flour mixture and combine. Stir in walnut pieces. Pour batter into prepared 8 x 8 pan. Bake in 350° oven for 18 – 22 minutes. Cool on rack for 15 minutes. Slice and serve. It’s always comforting to have a gluten-free dish prepared by someone you trust, and food really does taste better when it’s prepared with love. Wishing you a Happy Valentine’s Day filled with love and chocolate! 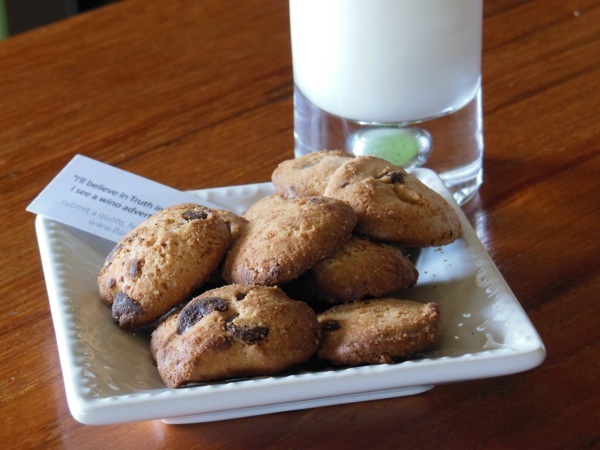 The BEST Gluten-Free Chocolate Chip Cookies in the World? 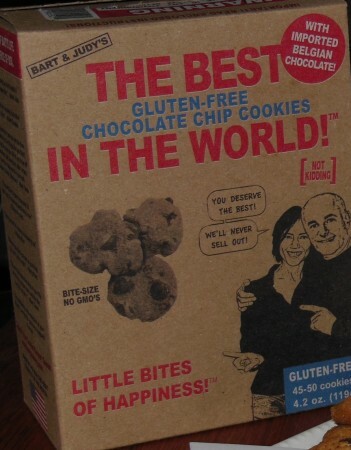 This box promised me “The best Gluten-Free Chocolate Chip Cookies in the World!” – now that’s a big promise. Of course, the way I see it, it’s also a challenge. I will take that challenge and see if these cookies live up to the hype! Bart & Judy Greenhut’s cookies stood out on the shelves because of the retro-rustic looking packaging. I was immediately drawn to the plain paperboard box with its retro graphics. Then there were the enticements listed on the box: Best in the World, Imported Belgian Chocolate, Little Bites of Happiness, No GMO’s – and that’s just the front of the box. The top contained a warning not to consume in an environment requiring my complete attention because it could lead to personal injury. The back of the box had a personal anecdote from Bart, Judy, and their son, Jordan. It mentioned Steve Jobs. You think reading the cereal box in the morning is entertaining? You could spend weeks on this box. It has a side full of quotes, a side full of nutritional information, and an inside filled with poetry, Bart’s life observations, and a thank-you. Before you even get to the oxygen-barrier foil bag or the folded insert, it is clear that Bart & Judy have a much larger mission than bringing you delicious cookies. While there’s a part of me that momentarily felt they were forcing the issue a little too hard, I was drawn back in by their obvious sense of humor and dedication to putting their money where my mouth is. According to the box insert, Bart & Judy had the courage to sell their house to buy a 100′ oven to begin baking these cookies. Inspired on a trip to Paris, they embarked on a new career at the ages when many people retire. Having passed the age at which I’m allowed to swim at the “senior center”, I am well aware that many of us begin to question what we’ve been doing and explore our options as we age, but I know few who decide what they want and go for it full speed ahead. For this reason alone, I’d buy these cookies at $5.49 per 4.2 oz box. I admire this kind of gutsy determination. So what do you get for $5.49 per box? 45 – 50 crunchy cookies about the size of a nickel or a quarter. They’re handmade so they all vary. The point is that they’re very small. A whole box is 480 calories. That’s 4 servings with 11 cookies per serving. Total carbs per serving is 12.2 grams. That’s not bad for a dessert. The question is whether you can limit yourself to one serving. The cookies are delicious and not overly sweet. Of course, I followed the instructions to let them “breathe” for 10 minutes after opening the package. There’s no odd aftertaste and no weird texture, but if you like chewy cookies you will not be happy because they are CRUNCHY! I don’t know if they’re the best in the world, but they are hands-down the best packaged gluten-free cookies I’ve tried. 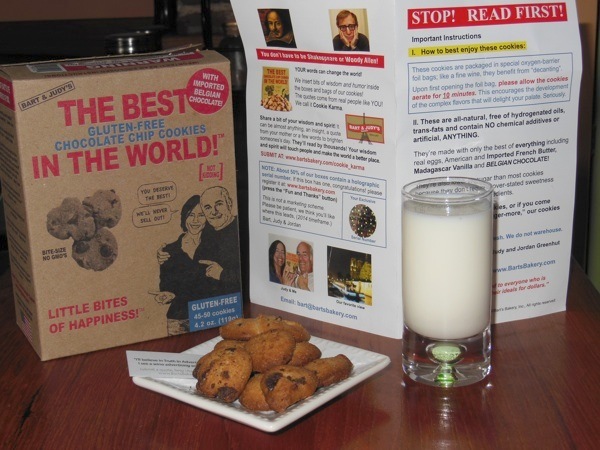 Celiacs are warned that while the ingredients are gluten-free, the cookies are prepared in a kitchen where other cookies containing wheat, milk, and tree nuts are also prepared. Ingredients and equipment are kept segregated, so consumption will come down to a judgment call. I tasted these two days ago and again yesterday and have suffered no ill effects. And the content doesn’t stop with the cookies and the box. There are quotes contained in each foil bag. You can submit a quote to be included. Some inserts contain a holographic serial number that let’s you register online to receive “Fun and Thanks”. The rewards are secret other than an occasional give-away of a trip for two to Paris, but if I’m going to blindly jump on a roller coaster ride, Bart & Judy seem to be the kind of people I’d want to ride with so I have registered. We’ll see what happens. You can check out the team, the quotes, the philosophy, and the products at www.bartsbakery.com. Have you tried these cookies? If so, let us know what you think. The easiest chocolate topping ever! Ever suddenly crave a bit of chocolate? Try this rich, creamy chocolate topping that you can whip up in about 10 minutes. You won’t need a candy thermometer or even a double boiler – it’s the easiest chocolate topping ever made from scratch! This sauce is liquid when it’s hot and soft, but firm at room temperature. Place cream in skillet over low to medium low heat. Whisk in sugar until it dissolves. Add butter and keep stirring with whisk as you add the chocolate and allow it to melt. Let the mixture come to a boil. Whisk constantly keeping the thickening candy-sauce from sticking to the sides of the skillet. Cook for 5-8 minutes. The longer it cooks, the thicker it gets. For a traditional treat, pour this smooth, rich, warm topping over strawberries or raspberries. Place the berries on a platter and pour the chocolate sauce over the ends for quick “dipped” berry effect. Once the chocolate has cooled, you’re ready to serve. Enjoy combining contrasting bitter and sweet flavors? Arrange rectangular cubes of cold, medium yellow or sharp white cheddar cheese, approximately 1/4 inch thick and 2 – 2 1/2 inches long, on a serving dish and coat the bottom quarter of each with the chocolate sauce. Once the chocolate has cooled, it’s ready for a party. Can’t decide if you’re craving salty or sweet? 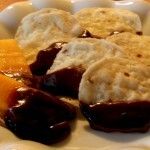 Drizzle the chocolate over some bite-size salty white corn tortilla chips and enjoy both in one bite. Take these to your next girlfriend get together and someone is sure to love you! 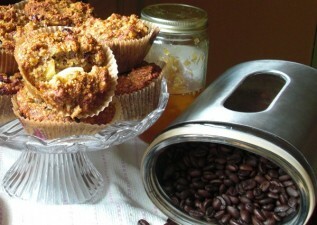 You can also top cupcakes, cereal bars, or banana splits with this decadent drizzle. With its high sugar and fat content, I’d never recommend this for everyday consumption. On the other hand, it’s such a creamy rich delight that when you’re craving a bit of sweet or chocolate, you won’t have to eat much to feel satisfied. 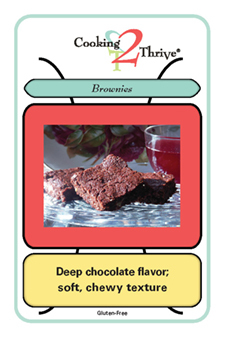 What’s your favorite food to pair with chocolate? We’d love to give it a try!